We’re sure if you’ve been abroad you’ve marvelled at the buildings and how they differ from ours here in the UK, but have you ever stopped to look at the different ways people use their garden space overseas? Cultural differences are apparent in gardens as well as architecture, and it’s amazing to see how outdoor spaces differ depending on location and beliefs. Here, we look at how gardens differ around the globe. With research showing that Brits are willing to spend up to £11,500 more on a property with a garden, it’s clear we hold outdoor space in high regard. Green-fingered or not, it seems we pine for that perfect lawn, shed and relaxation area – often a raised decking area. Trex composite decking offers the perfect solution for the unpredictable British weather, thanks to being resistant to mould and mildew. The average UK garden is 15 metres long and features 10 different flower varieties. The most popular floral displays are colourful, featuring flowers such as tulips, rose lavender and bluebells. Just throw in a garden gnome, greenhouse, birdbath and washing line, and you have the quintessential British garden! Italian gardens focus on symmetry, and favour evergreen plants manicured into geometric hedges and topiaries rather than flowers. When flowers are used, it tends to be in the form of climbing roses covering stone walls. Garden spaces are seen as an extension of the home’s entertainment space, and you’re likely to find art cladded throughout, including sculptures of gods and goddesses. A lemon tree potted in a stone urn is an Italian patio favourite. While water features in UK gardens are often bird baths or ponds, you’re more likely to find relaxing bubbling fountains, pools or cascades in Italy. Moving away from Europe often means more cultural meanings behind garden designs. Many Indian gardens feature Tulsi, known as the Queen of Herbs. Thought to be the holiest and most cherished healing and health-giving herb in Hindu culture, it’s planted in special pots. Thanks to its tropical weather, India’s garden plants thrive meaning people’s gardens are often filled to the brim with colourful flowering plants. Said to bring happiness, roses are particularly popular in Indian gardens, as are money plants, which are considered to be lucky. American gardens – or ‘yards’ – tend to be larger than their European counterparts, meaning you’ll often find multilevel gardens. Composite decking is commonly used on sloped areas to provide a flat surface, perfect for hosting barbecues. 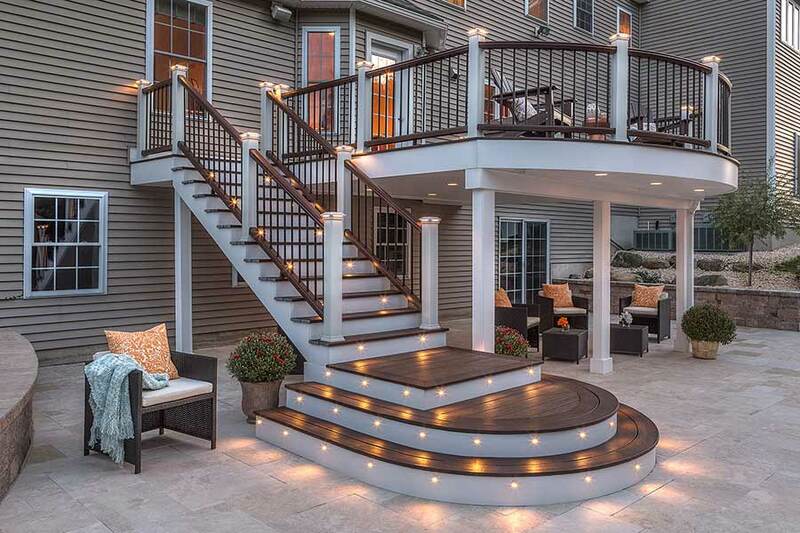 Many garden decks in the US are high level, and make the most of the space underneath. The Trex RainEscape system is perfect for raised level decking, with its troughs and downspouts draining water away. This keeps the deck’s lower level safe from the elements, making it as functional as it is attractive. The space available in many gardens in the US has also proven useful for the growing trend of vegetable patches. Four years after the White House planted its first vegetable since the Second World War in 2009, it was estimated that one-third of Americans were growing food in their gardens. Thanks to the enviable climate, a huge pull for Brits wanting to emigrate Down Under, many suburban Australians place outdoor living as a top priority. Lawns are however becoming less in demand, with studies showing that a third of outdoor renovation projects are either reducing this space or removing it entirely. 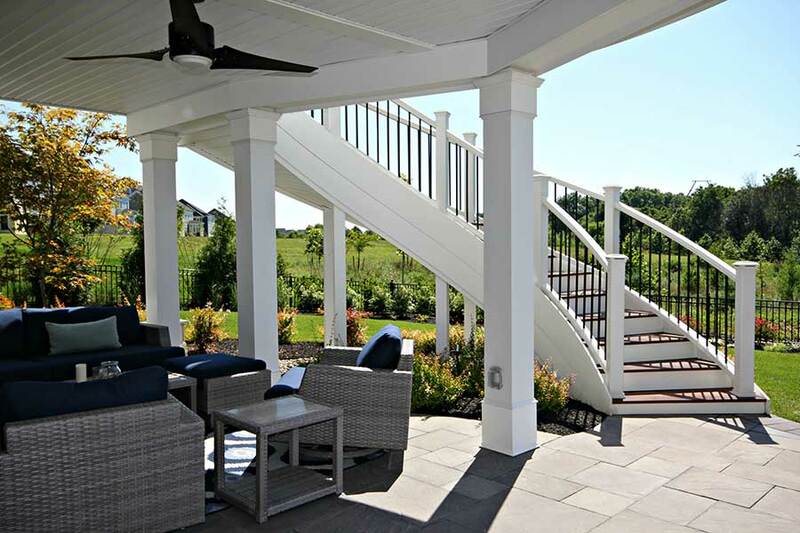 Decks, pergolas, terraces and verandas are springing up it its place, creating the ideal space for ever-popular barbecues. For lucky Australians, an outdoor pool is a luxurious addition to their outdoor space, particularly when set within stylish, slip-proof composite decking. On the plant front, native Australian floral displays remain popular for aesthetic purposes, while drought-tolerant plants are a practical must. Be it in their own gardens or elsewhere, South Africans are known to feel at home in the outdoors. And South African garden trends are becoming more noticeable around the world. A key feature in South African gardens is a shaded area, giving people the opportunity for a break from the sun. These areas often feature shade-loving shrubs and perennials, creating a tranquil space. Similarly to Brits, South Africans tend to be fond of wildlife, encouraging native animals to visit through fresh water or nectar-rich plants. As well as native wildlife, you’ll often find society garlic in gardens – a native plant which flowers even under pressure, and is the perfect addition to herb gardens. It’s clear that gardens are an important part of the home across the world, and inspiration can be drawn from any country’s trends. To keep up to date with all the latest Arbordeck news, follow us on Twitter and Facebook.